We are one of the hosts participating in Tara Fuller's Inbetween Blog Tour. 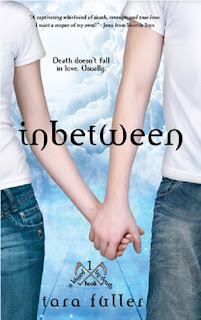 Inbtween is a new YA paranormal romance featuring reapers and our review is below. We thank Shane at Itching For Books for presenting this blog tour. For the full tour list, go here. Blurb: Since the car crash that took her father’s life two years ago, Emma’s life has been a freaky—and unending—lesson in caution. Surviving “accidents” has taken priority over being a normal seventeen-year-old, so Emma spends her days taking pictures of life instead of living it. Falling in love with a boy was never part of the plan. Falling for a reaper who makes her chest ache and her head spin? Not an option. It’s not easy being dead especially for a reaper in love with a girl fate has put on his list not once, but twice. Finn’s fellow reapers give him hell about spending time with Emma, but Finn couldn’t let her die before, and he’s not about to let her die now. He will protect the girl he loves from the evil he accidentally unleashed, even if it means sacrificing the only thing he has left...his soul. Release date: August 28, 2012 + Twitter party Q&A!! 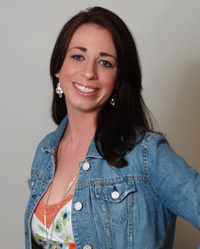 Tara Fuller writes novels; some about grim reapers and some about witches. All of course are delightfully full of teen angst and kissing. Tara grew up in a one stop light town in Oklahoma where once upon a time she stayed up with a flash light reading RL Stine novels and only dreamed of becoming a writer. She has a slight obsession with music and a shameless addiction for zombie fiction, Mystery Science Theater, and black and white mochas. Tara no longer lives in a one stop light town. Now she lives with her family in a slightly larger town in North Carolina where they have at least three stoplights. It is difficult writing this review because I don't want to share too much of this story since it's newly released. What I will say is how much I did enjoy Inbetween. Told in alternating chapters between reaper Finn and human seventeen year old girl, Emma, we really do get a sense of what's going on in both of these character's worlds. Finn believes Emma is the reincarnation of his love, Allison, someone he broke rules for and if he breaks anymore he could be in jeopardy of being transferred to Hell. Emma wonders if the boy with green eyes and the feelings of ice cold and warmth she occasionally feels is her 'mental illness' (she spent time institutionalized in junior year) rearing its ugly head again. Author Tara Fuller has created an interesting paranormal world of reapers and I thought her entire concept of there being an 'inbetween' place where souls go to grow up so they can sorted accordingly fascinating. The whole problem Finn finds himself in--loving someone who has been reincarnated and breaking rules for his own needs, even if he is doing something right--provides an intriguing premise. I may not always agree with his reasoning but his strength of character and loyalty was admirable. Emma was also a strong character, even if she seems to be more of a 'victim' in the beginning, she was, and soon grew stronger. Fuller's characters were all well written individuals, had depth and personality, and I enjoyed reading about so many including Finn's two sidekicks, Anaya and Easton, and Emma's best friend, Cash (sidenote: I LOVED Cash and Easton and definitely want to read more about both of these guys). As for the villian, Maeve, she was one creepy soul. The pacing did slow down at points and I expected Emma to have some type of 'aha!' moment in regards to Finn. Inbetween poses some interesting questions about life, death and the beyond while providing readers with a sweet romance and a unique paranormal world. This is one series I will want to continue reading. Book source: I received an eARC copy in exchange for my honest review during a blog tour. Loved the review! I have wanted this book for quite awhile now. Thanks for the giveaway!